Want to know Lake Erie conditions? Text a buoy at 734-418-7299! 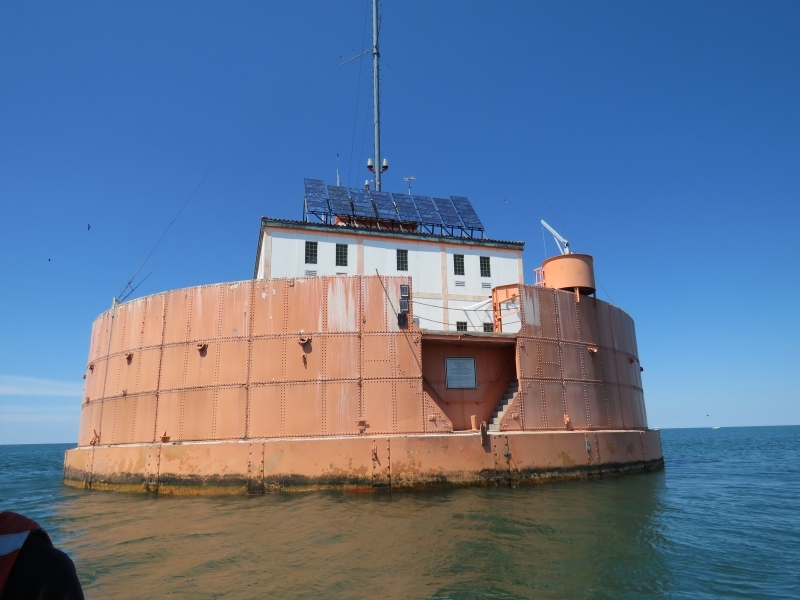 You can find a list of every buoy in the Great Lakes here. 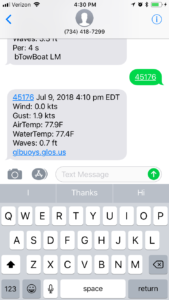 Text the buoy number of your choice to 734-418-7299 for the latest observations. Though you can’t text every buoy and get a response; only buoys with all-numeric names. UPDATE: This story generated so many texts that it crashed the phone number. Also try texting the buoy number to734-201-0750. Lake Erie has 20 such buoys, some privately funded, some public. 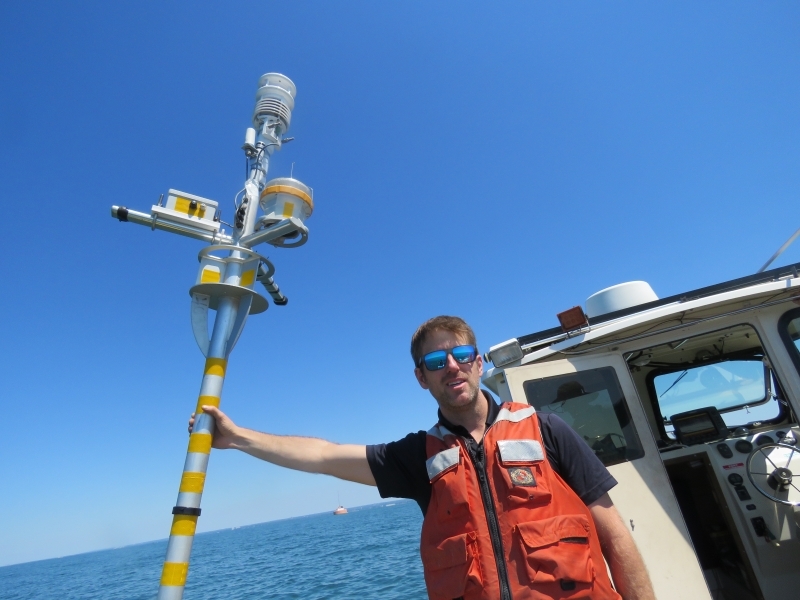 Limnotech, a science innovation company based in Ann Arbor, Michigan, owns and maintains three buoys off the coast of Cleveland with funding from the city, National Oceanic and Atmospheric Administration, Great Lakes Observing System and LEEDCo., which is developing wind turbines for the lake. 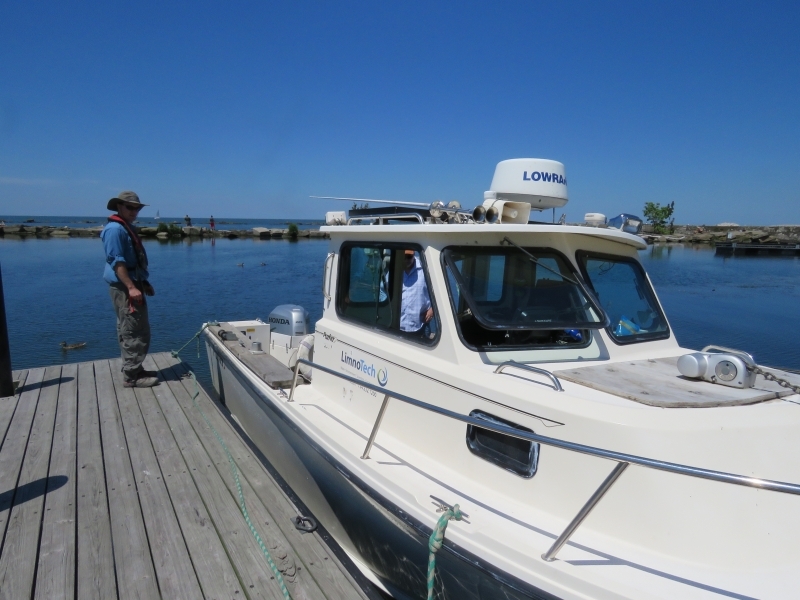 In July, Limnotech scientists Ed Verhamme and Greg Cutrell took me out in a boat to check on the Cleveland Division of Water buoy near the Cleveland Crib water intake pipe. “It measures the pulse of the lake, what’s happening,” Verhamme said. Each buoy costs about $50,000, about $20,000 of that in underwater sensors manufactured in Yellow Springs, Ohio. One sensor tracks waves using the same kind of technology in a fitness tracker that measures steps. The buoy just detected the beginnings of a dead zone, where warmer water stratifies from the colder water below and the oxygen gets used up by decaying organisms, Verhamme said. That means water can absorb manganese, which the Cleveland Division of Water would treat for. Hypoxic water is just one metric the buoy measures. 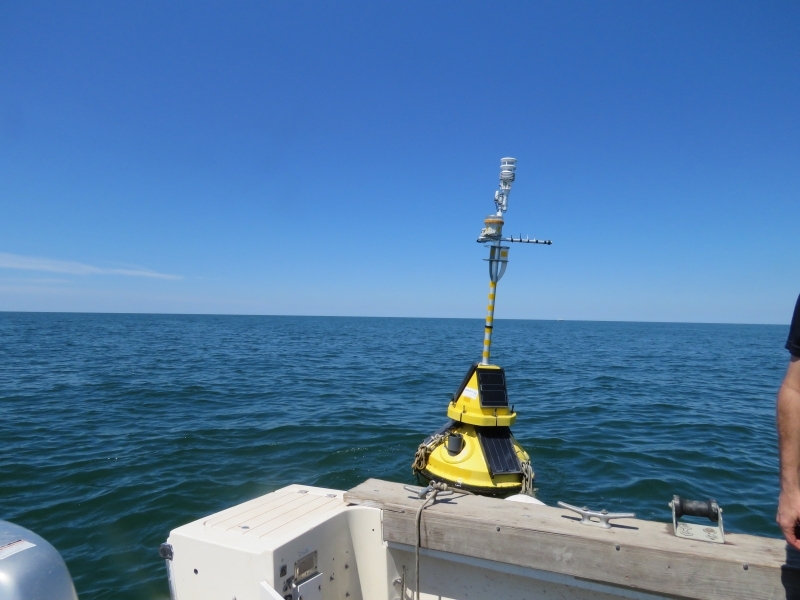 A buoy about 10 miles north of Cleveland tracks fish movement and records sounds underwater for LEEDCo. 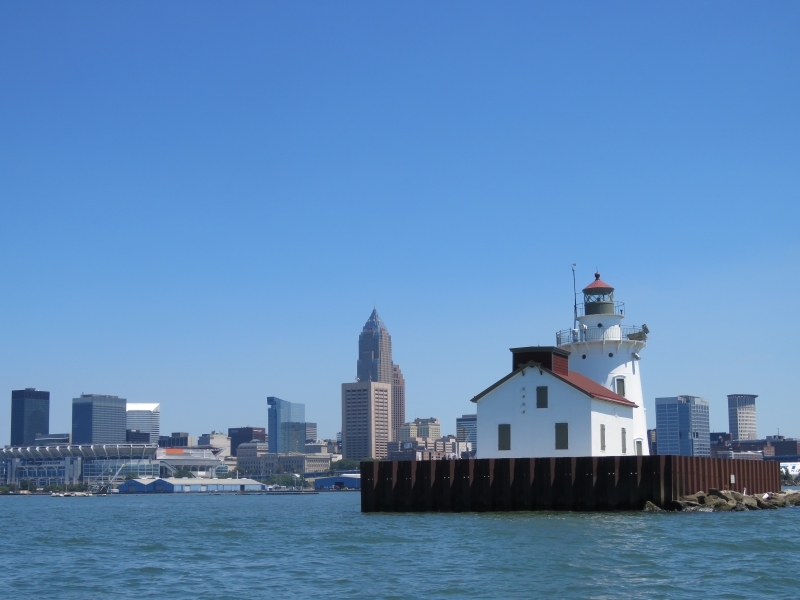 Together, the 20 buoys in Lake Erie help experts consider the lake as a whole, said Bryan Stubbs, executive director of the Cleveland Water Alliance. The nonprofit Alliance works with Northeast Ohio corporations, universities and government agencies to promote the value of clean water in the region and drive economic development through water innovation. The Alliance sponsors a competition called Erie Hack to award thousands of dollars in prizes for inventions that make it easier to detect and treat contamination in Lake Erie.